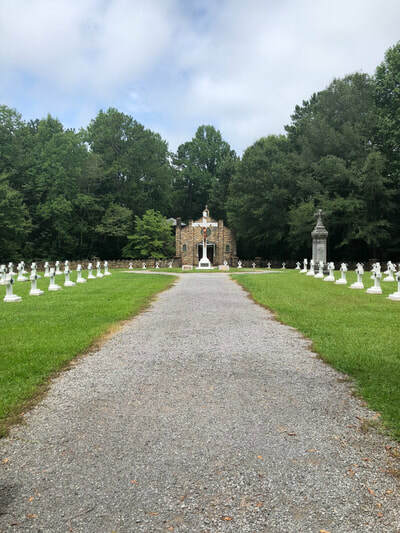 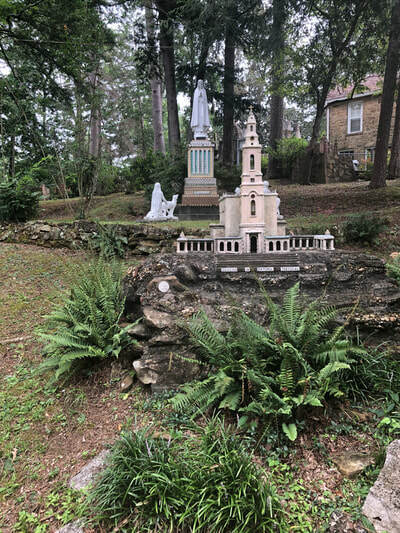 In Northern Alabama lies the St. Bernard Abbey, Alabama's first and only Benedictine Abbey. 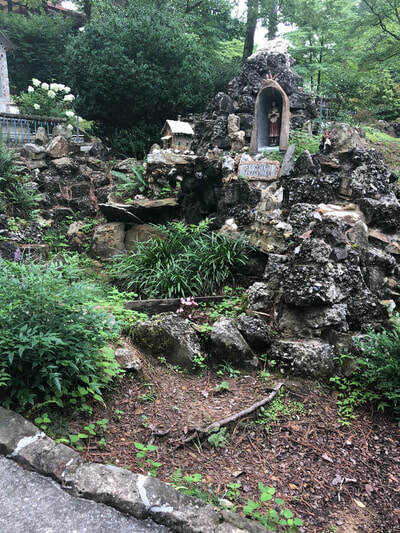 Part of the Abbey, the Ave Maria Grotto remains Cullman's most popular attraction with over 25,000 visitors a year. All photos by Claire Vaughn unless otherwise noted. The St. Bernard Abbey is located on St. Bernard Drive, just off of Route 278. 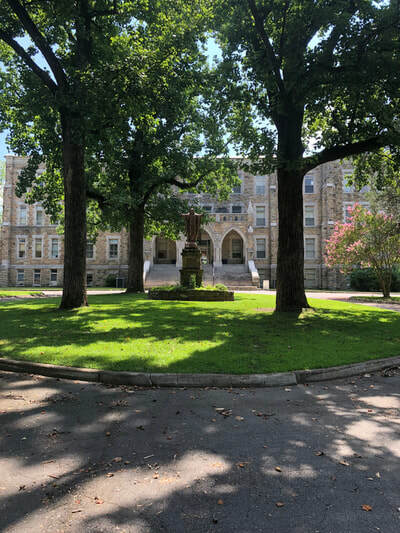 The Abbey has been in it's current location in Cullman since 1891. 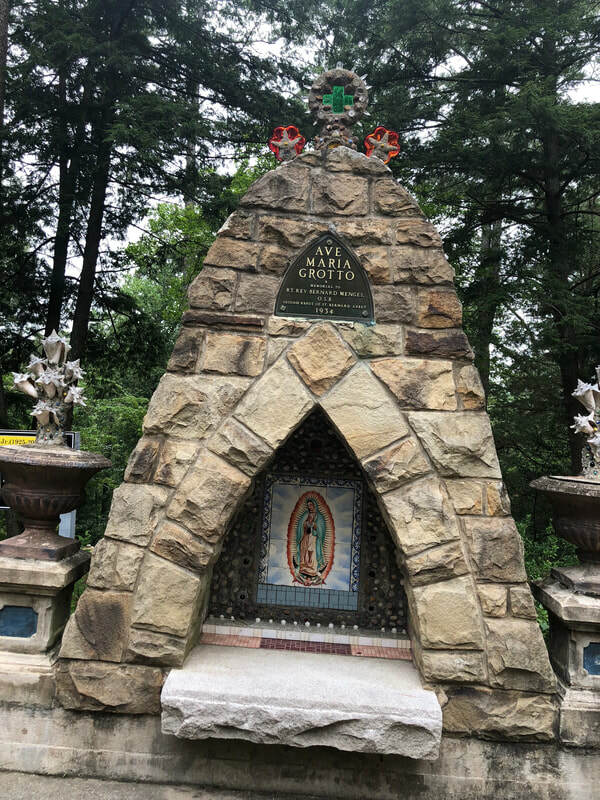 Monks from Metten, Germany came to Pennsylvania to minister to the increasing German immigration. 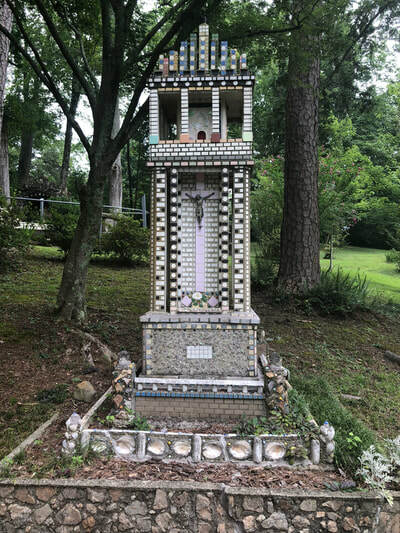 Later, they were sent to Alabama to minister to the German Catholic population in Cullman. 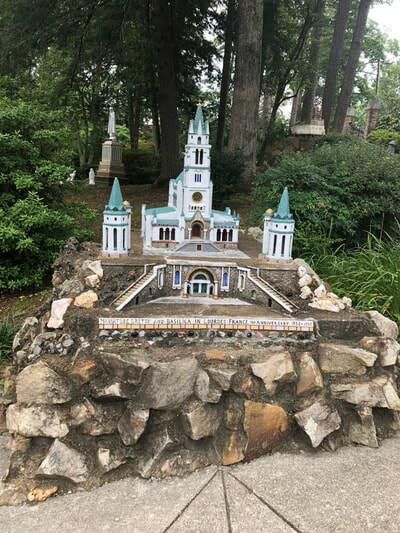 Brother Joseph, born Michael Zoettl is the man responsible for the Ave Maria Grotto. 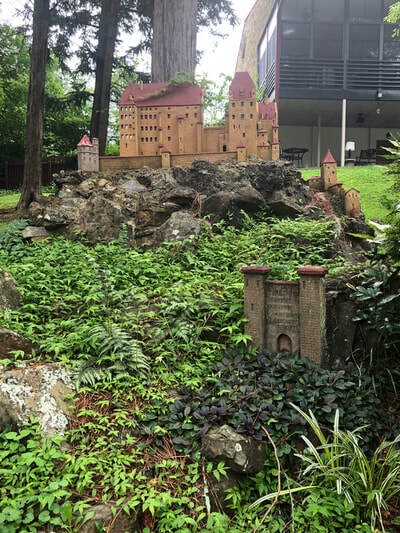 Born in 1878 in Bavaria, Germany, Michael was always very short in height. 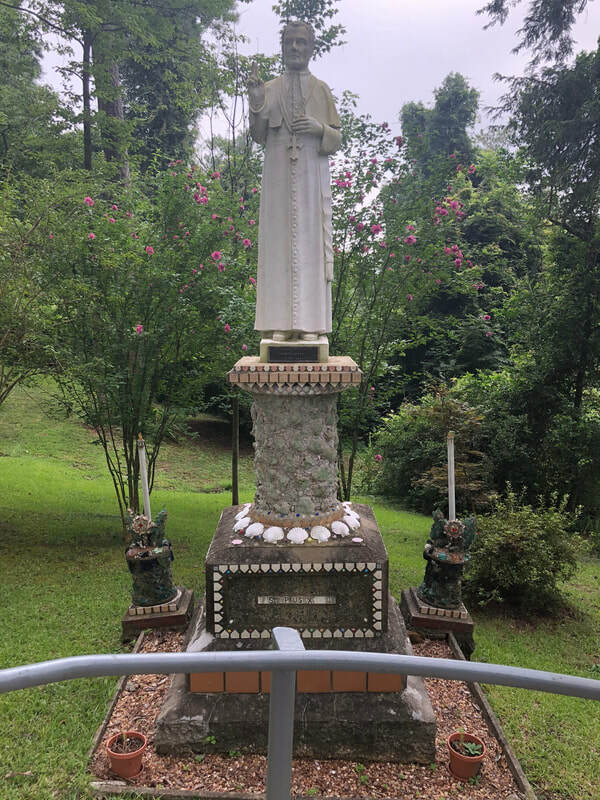 He had an accident as a young boy which caused him to have a hunched back. 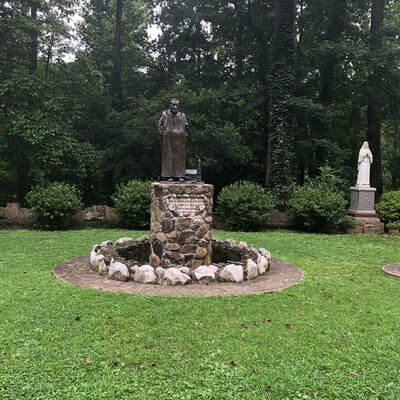 In 1892, Father Gamelbert Brunner went to Europe looking for candianates for the St. Bernard Abbey. 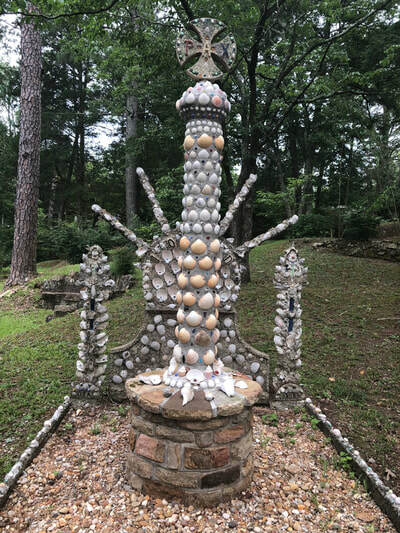 Michael wanted badly to become a priest. However, with an ailment such as a hunched back, that was not possible for him, as it would distract the congregation during masses. Michael decided to follow Father Brunner and became a housekeeper for the monks at the Abbey. Eventually, Brother Joseph was put in charge of the powerhouse having to shovel coal for 17 hours a day. 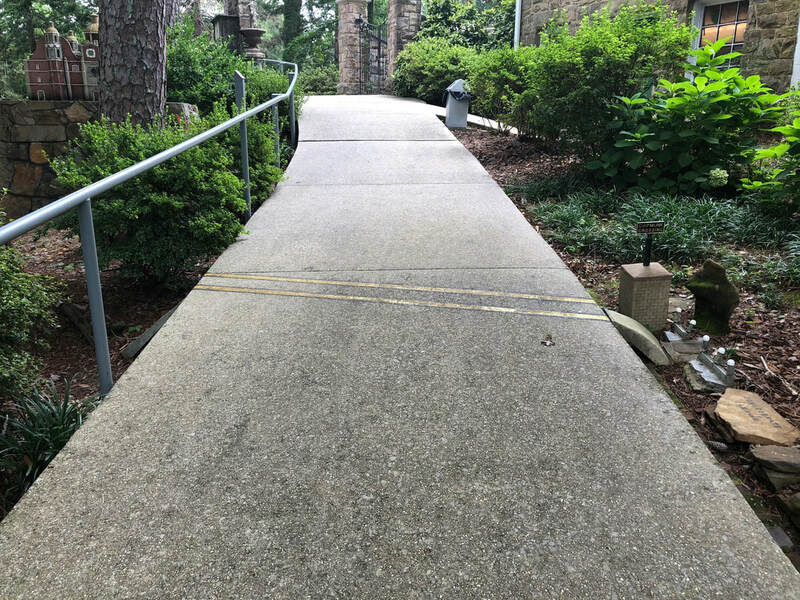 He did this for 30 years. 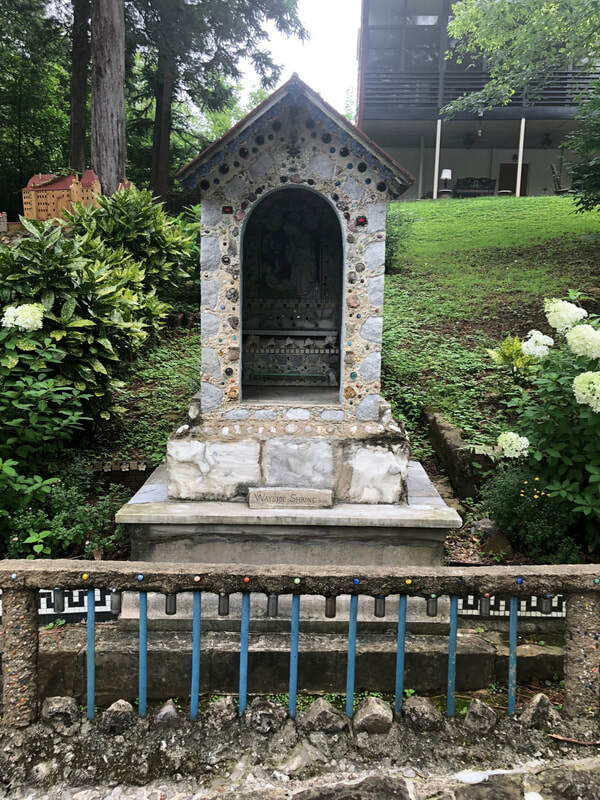 He became bored of it and more than this, he felt that he was not of much help to the others, since he wasn't a priest. So, he started hobbies again. 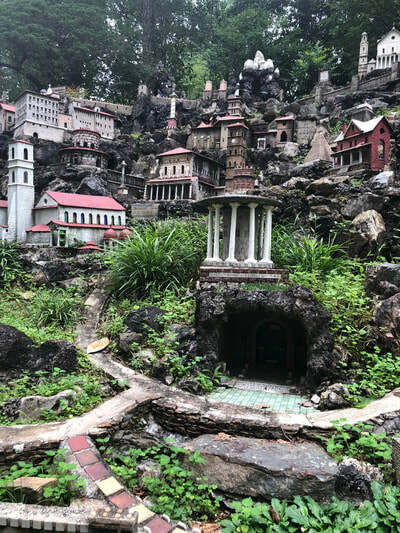 To pass the time, Brother Joseph started creating miniature Grottos of Mother Mary. 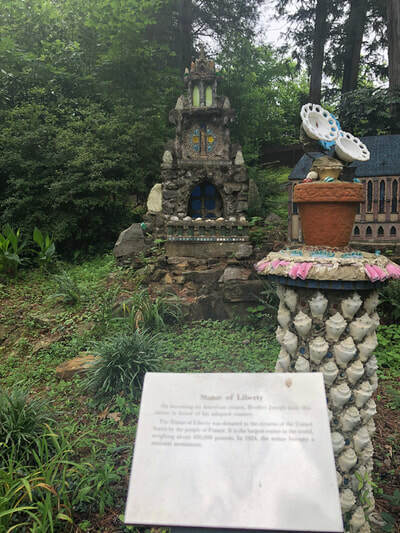 This gained great popularity, as different people wanted to purchase the statues. 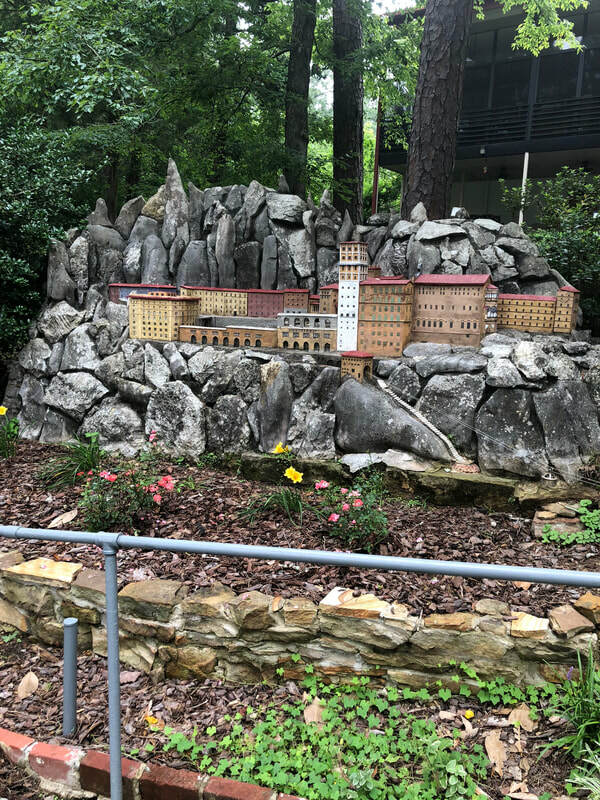 Eventually, Brother Joseph decided to do something bigger. He set out to create the Main Grotto, but didn't have building materials. A solution came when a local train had derailed carrying a sheet a marble. 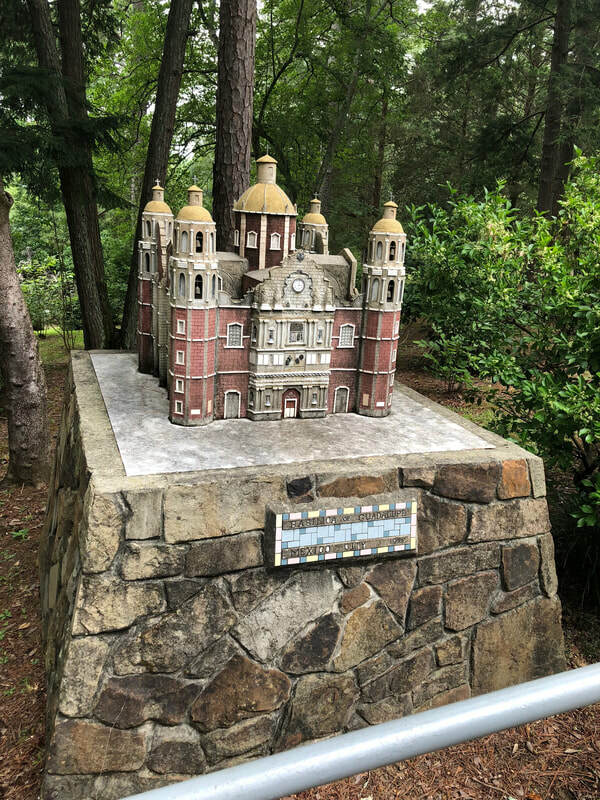 The marble had broken and was useless to the owner, so it was given to Brother Joseph. 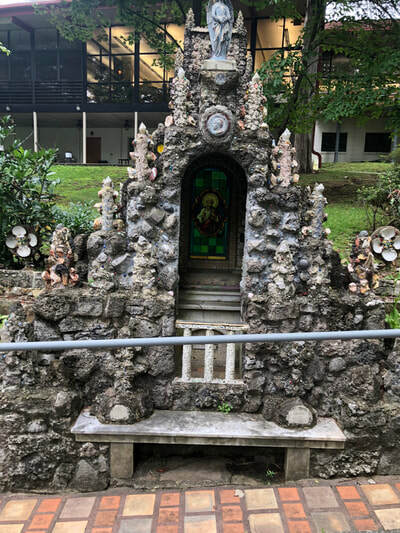 He used this to create the first shrine on the Abbey's recreation grounds. 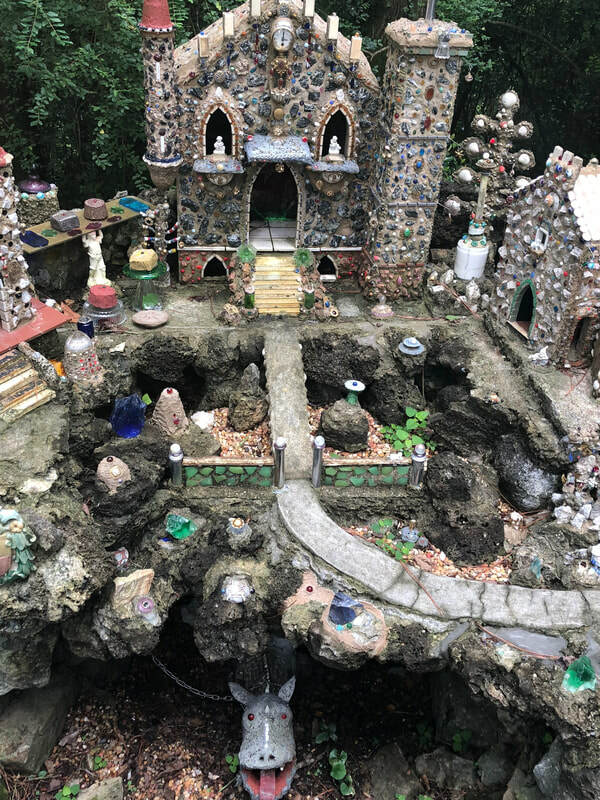 Due to an influx of visitors, they had to move the building to a new site. 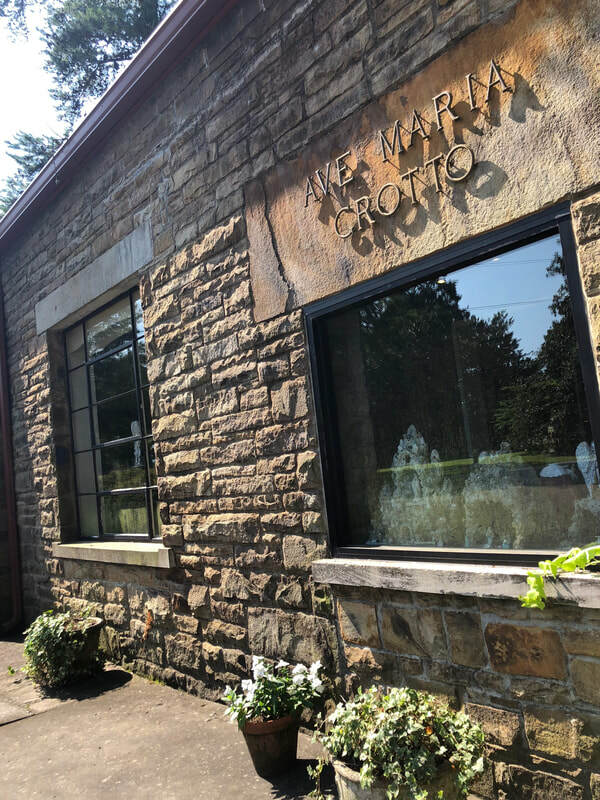 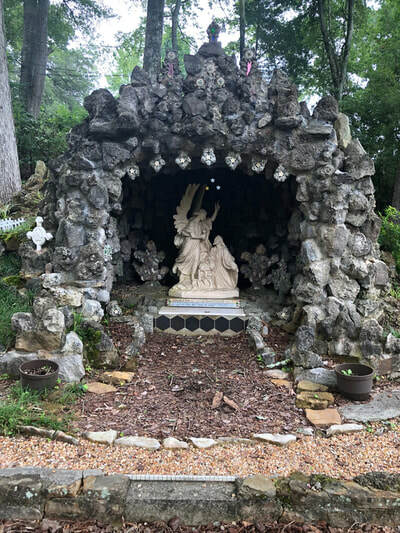 On May 17th, 1934 the Ave Maria Grotto was dedicated in the same place. 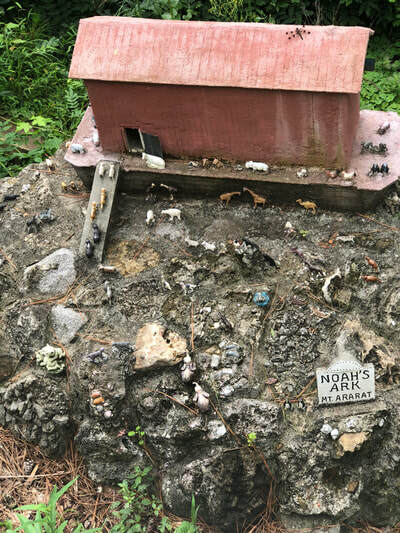 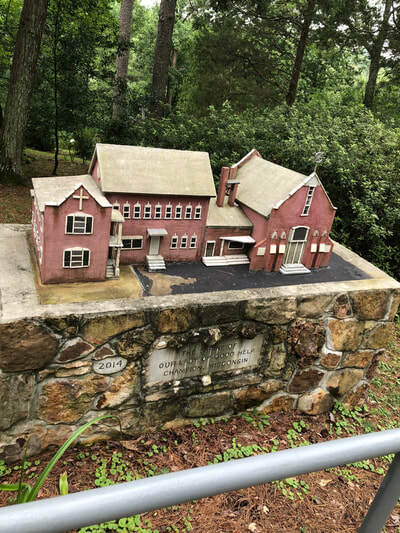 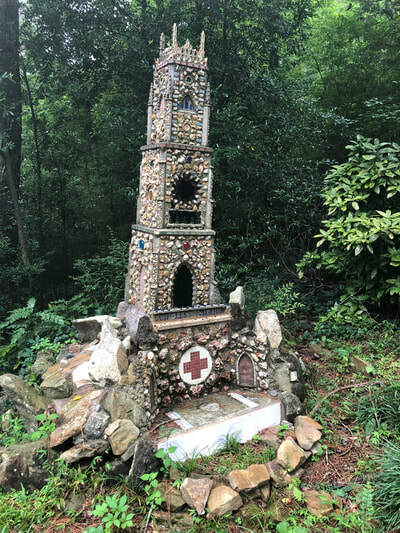 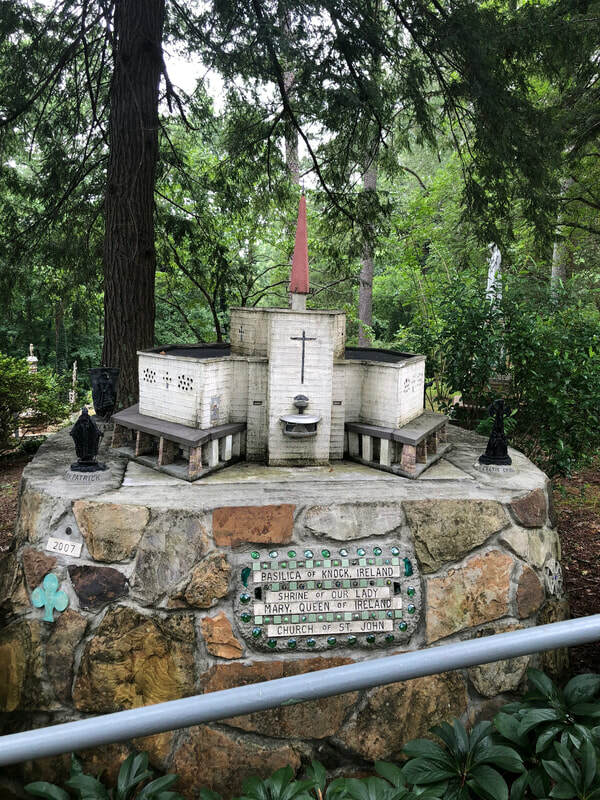 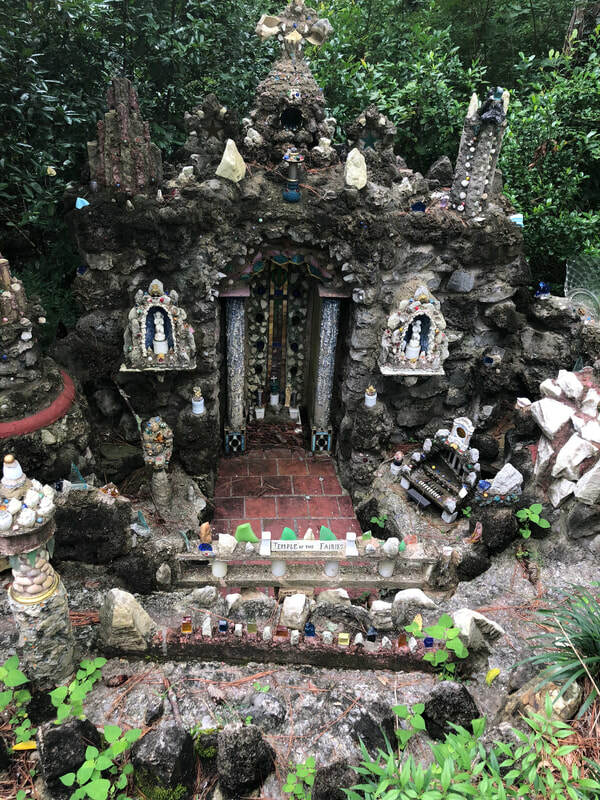 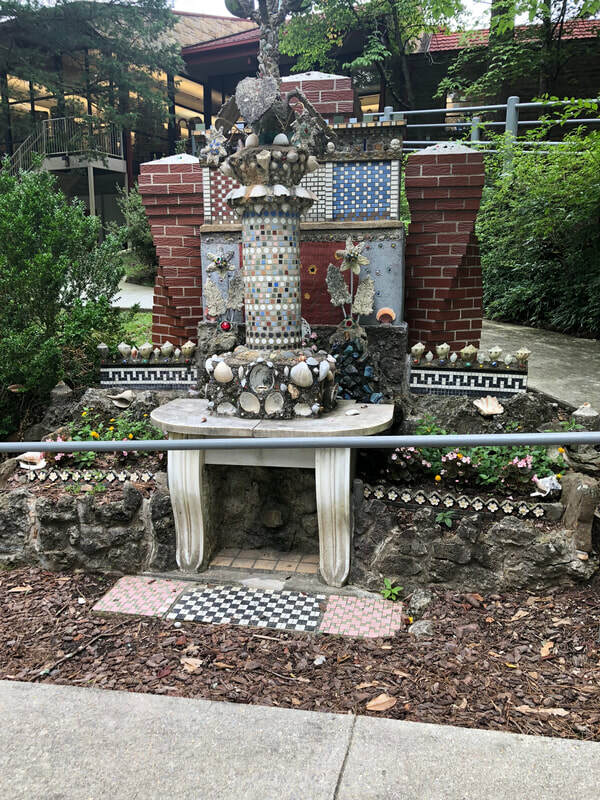 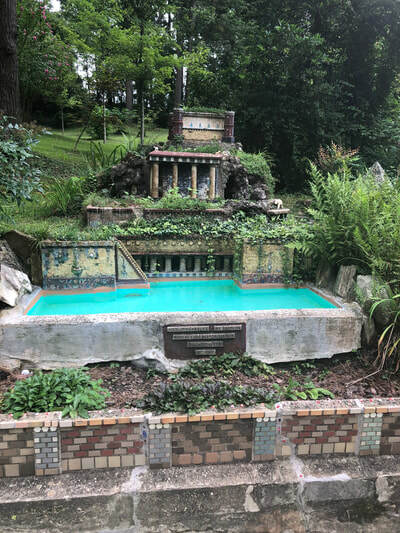 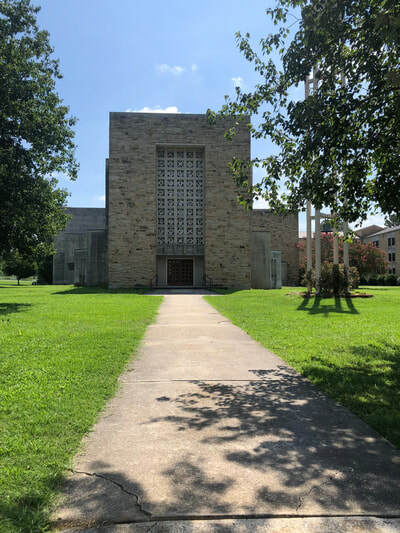 Brother Joseph continued building the shrines and miniatures for over 40 years with various materials, such as seashells, marbles, costume jewelry, beads, etc., that people donated from all over the world. 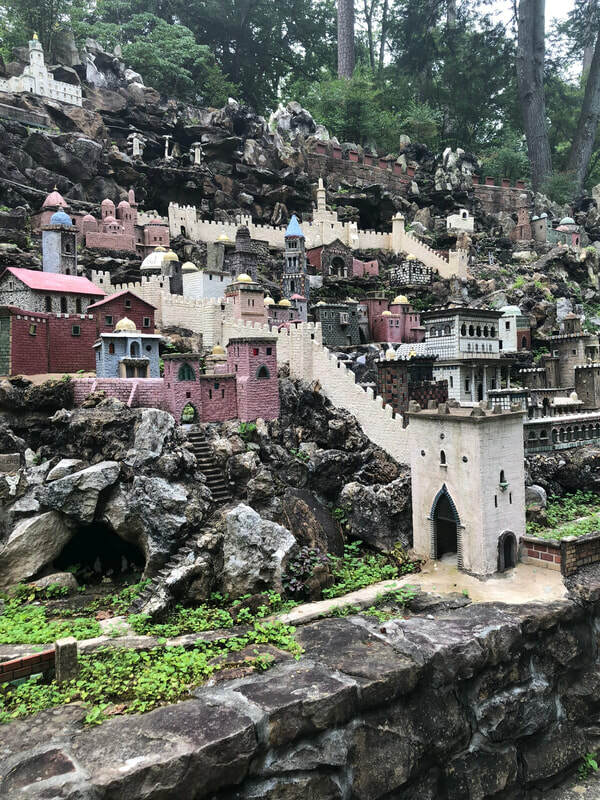 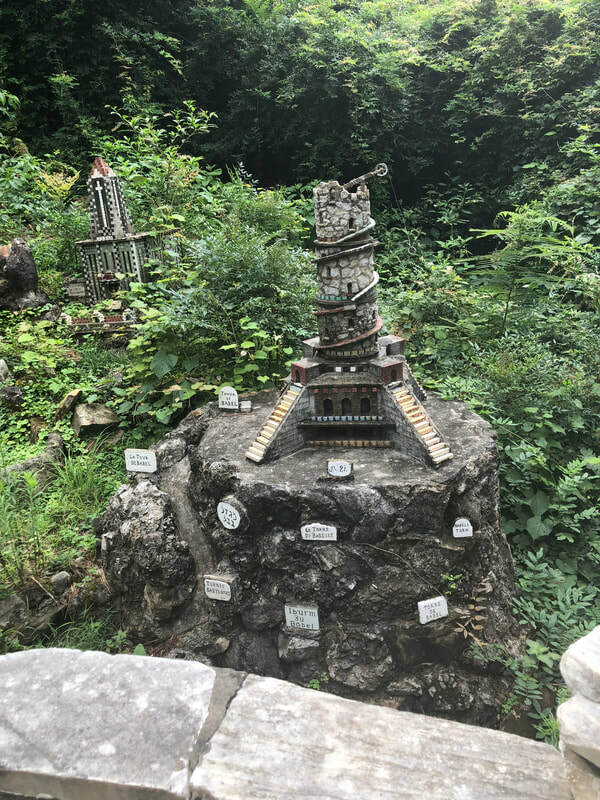 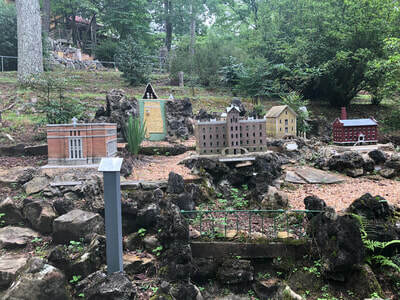 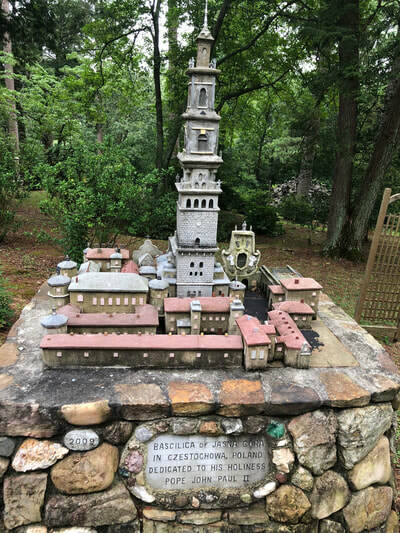 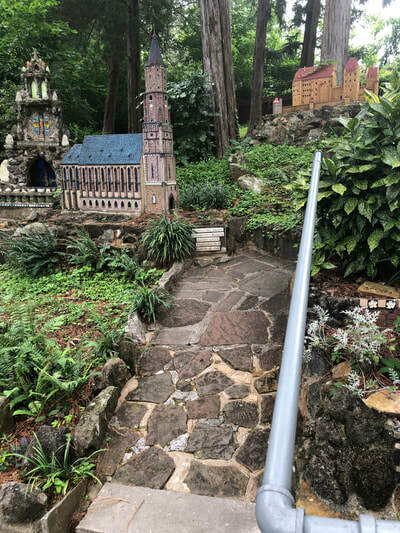 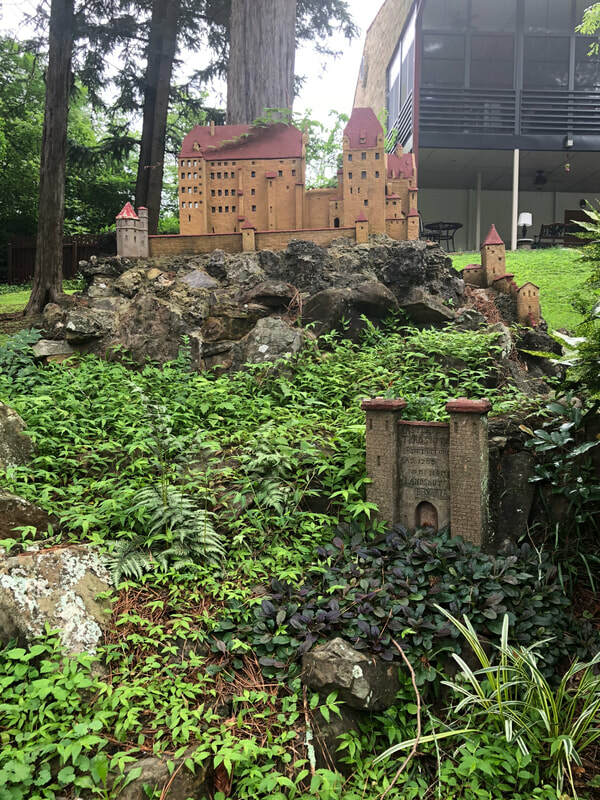 The Grotto is made up of a long winding path lined by 32 shrines and miniature recreations, including a shrine to Bethlehem, St. Peter, and St. Therese, as well as miniature recreations of various basilicas and the town of Jerusalem. 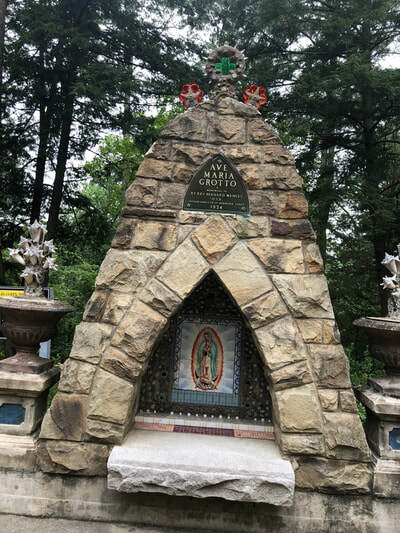 Although one can schedule an official tour with Brother Marion Sanchez, the director of the Grotto, most people walk around by themselves, with a brochure for a self-guided tour. Click each picture below and read the captions to learn more about the different stations at the Grotto. 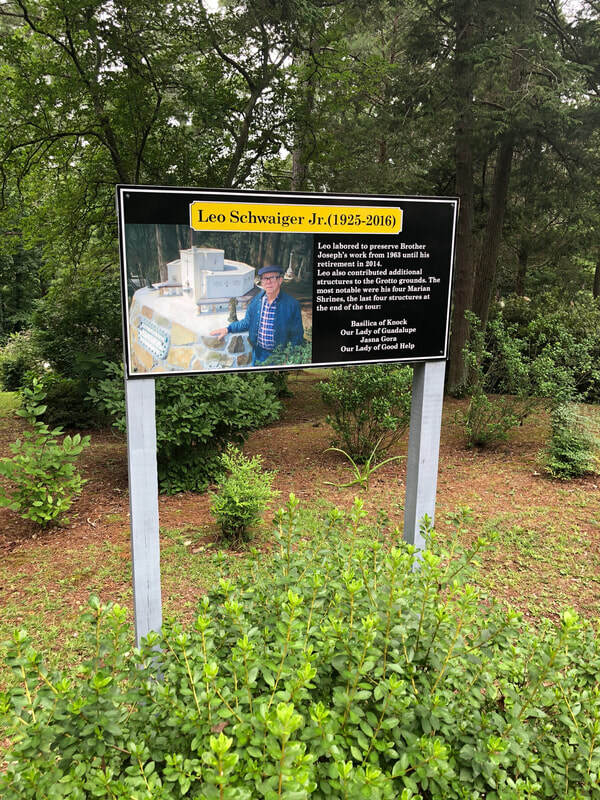 Leo Schwaiger Jr. was Brother Joseph's apprentice, since he was a young boy. 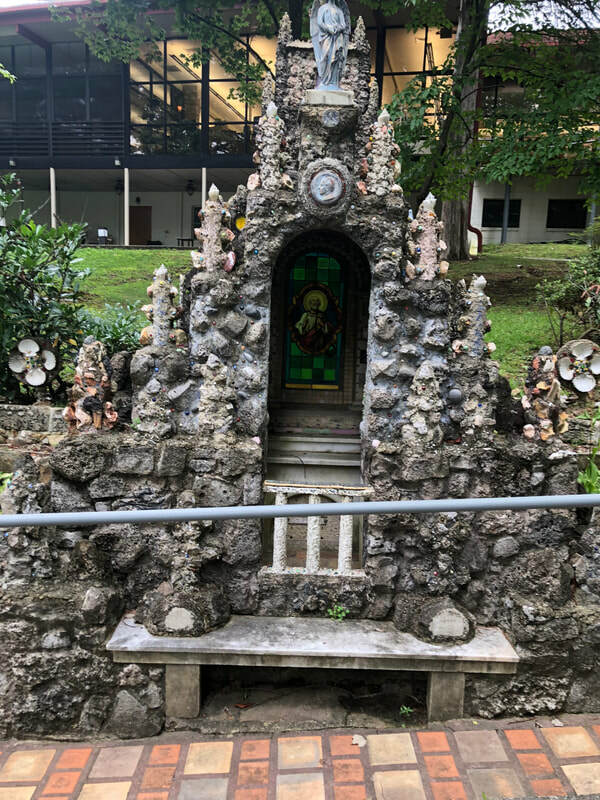 He shared the same passion for the Grotto as Brother Joseph. 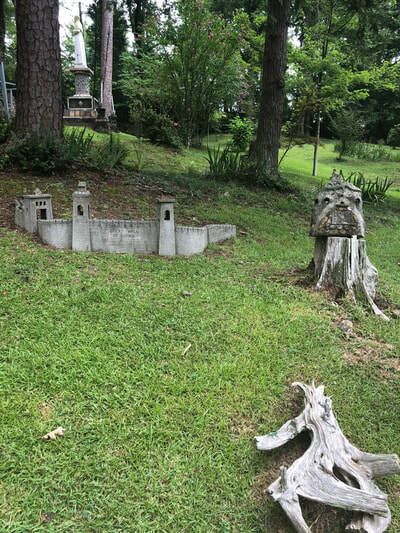 He worked to preserve his work from 1963-2014. He even contributed the last 4 structures at the end of the tour. 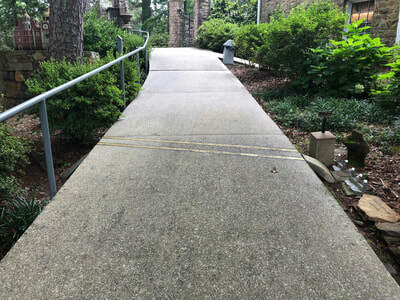 Note the physical difference of a more modern twist on these structures. 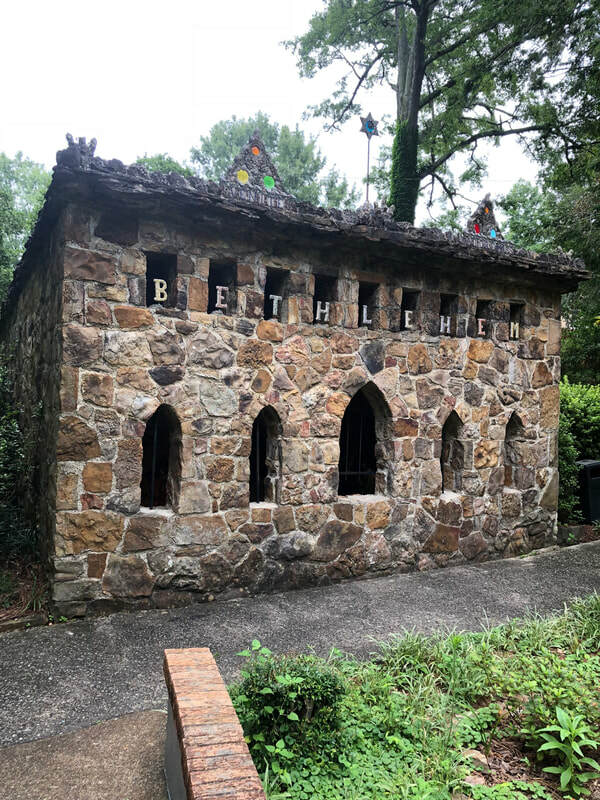 The tour concludes with at the gift shop, which is made up of two medium-sized rooms. 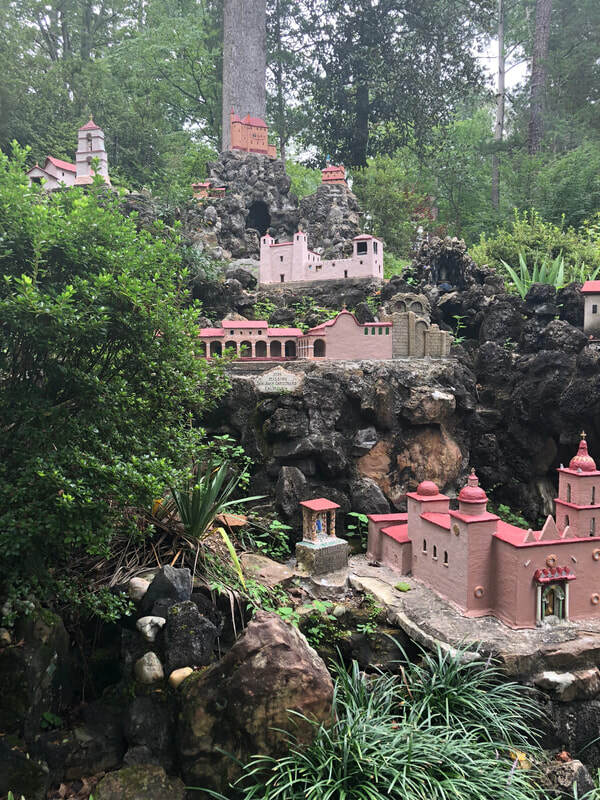 The gift shop has numerous Catholic gifts and trinkets. 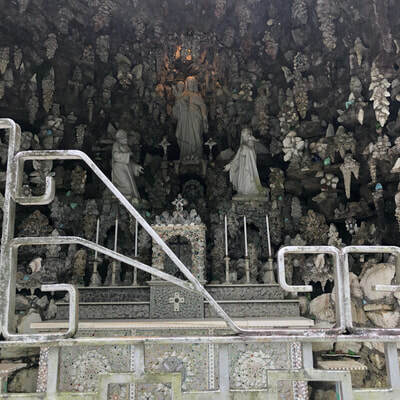 There are wooden and metal crosses on the walls, countless prayer cards and rosaries, statues of various angels and biblical figures, as well as Bibles and religious children's books. 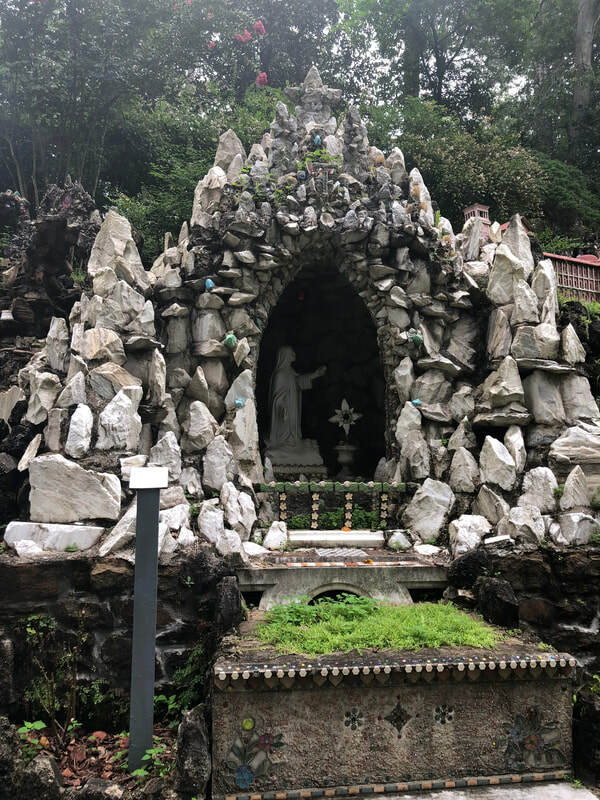 But, one thing that the monks at the Grotto take great pride in is their monk bread. It comes in a few different flavors and is made fresh daily. 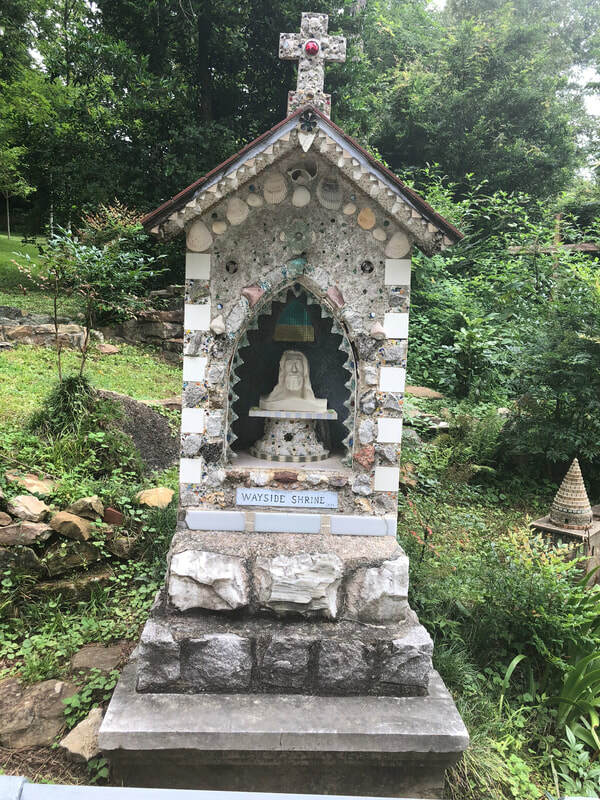 The monks also produce their own coffee blend. 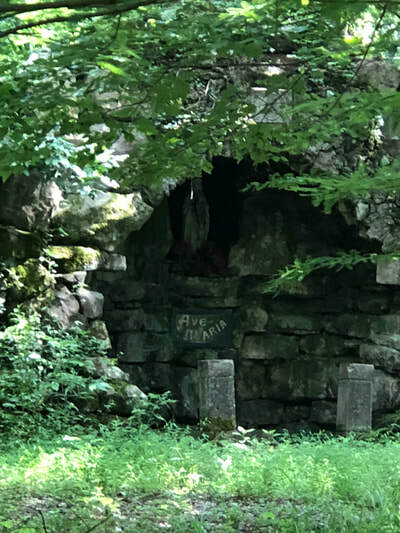 Brother Christopher roasts and grinds the beans to produce his Benedictine Brew low-acidity coffee. While one specific monk makes it, they all take credit for it, as they do for everything that goes on at the Grotto. Everyone has their own responsibilities, but at the end of the day, they are one collaborative community. After your tour of the Grotto, you are welcome to explore the rest of the campus.